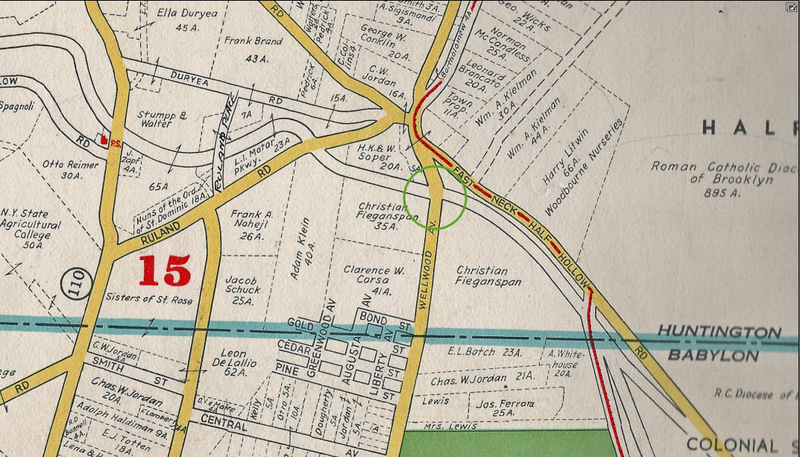 The bridge was built around 1910 over Wellwood Avenue, also called Pinewood Avenue in this area. 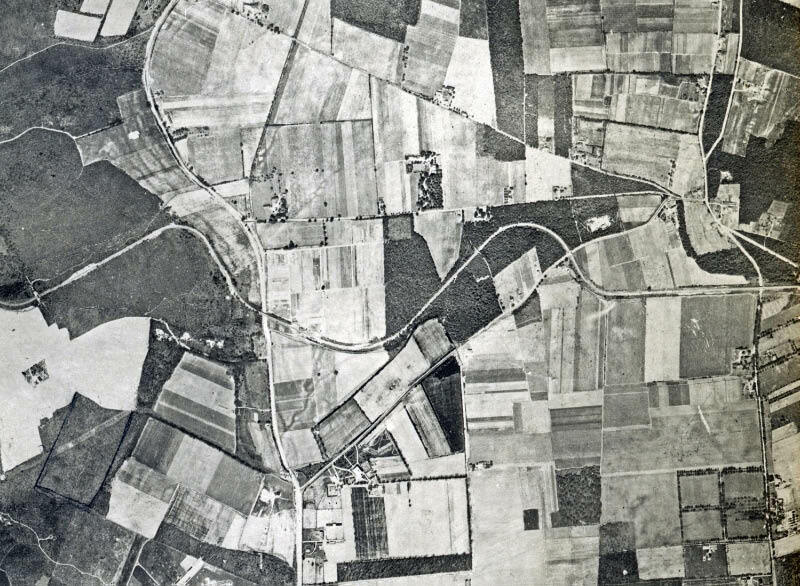 Although there is no known ground images of this bridge, it is well-documented in survey blueprints and aerials. 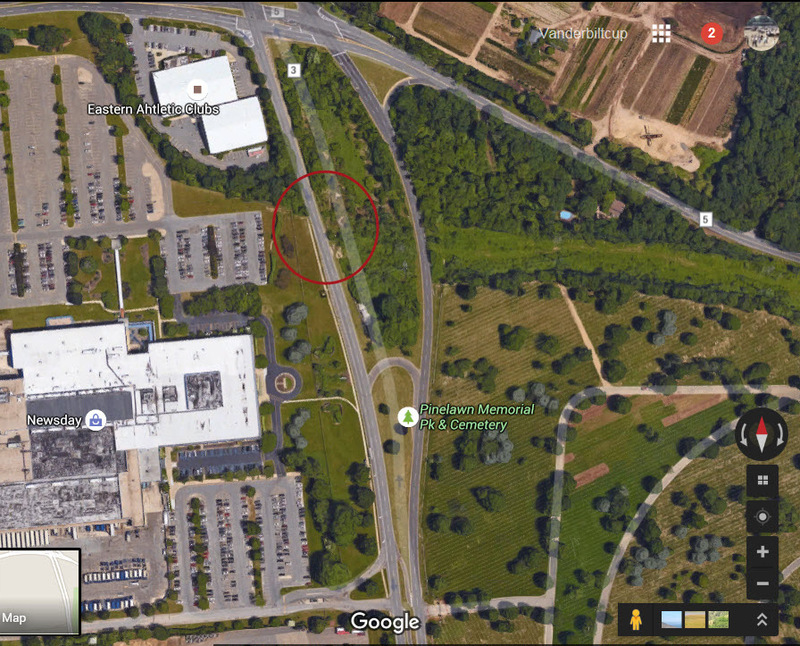 For the right-of-way around the bridge, the Long Island Motor Parkway, Inc. purchased 38.157 acres from Christian Feigenspan. 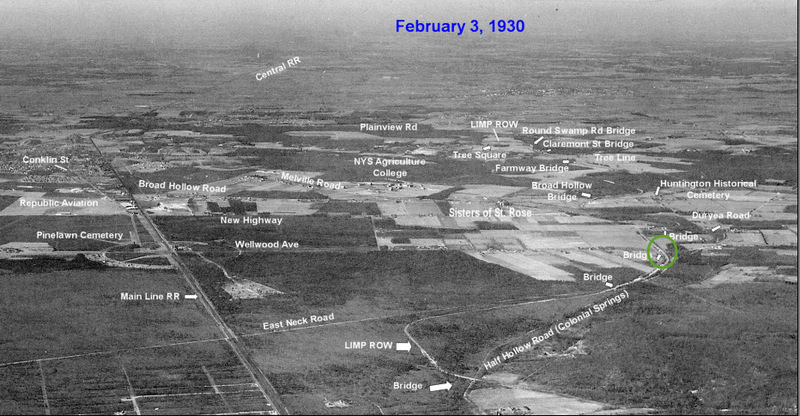 The Long Island Motor Parkway can be seen running through Melville in this 1928 aerial. 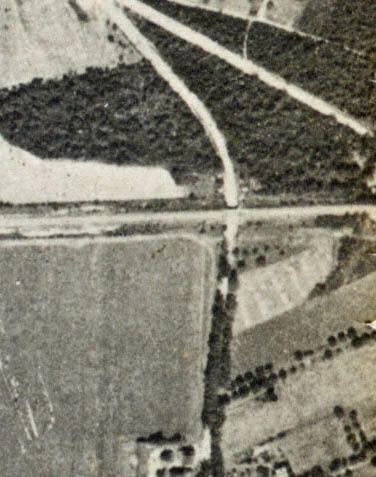 The Wellwood Avenue Bridge is on the far right. 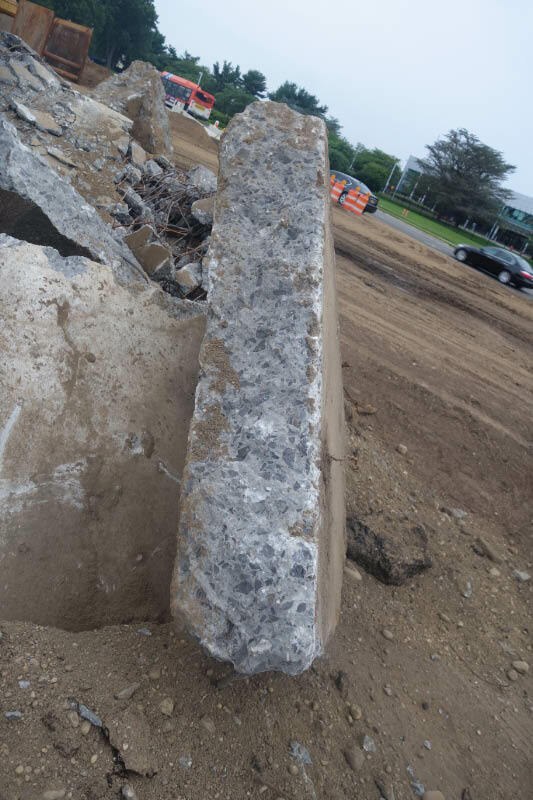 A close-up of the Wellwood Avenue Bridge. 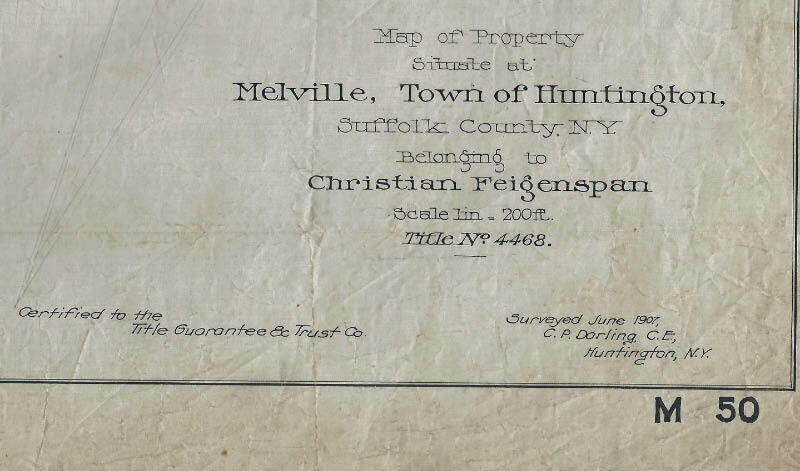 As seen in this aerial Wellwood Avenue led to Pinelawn Cemetery. 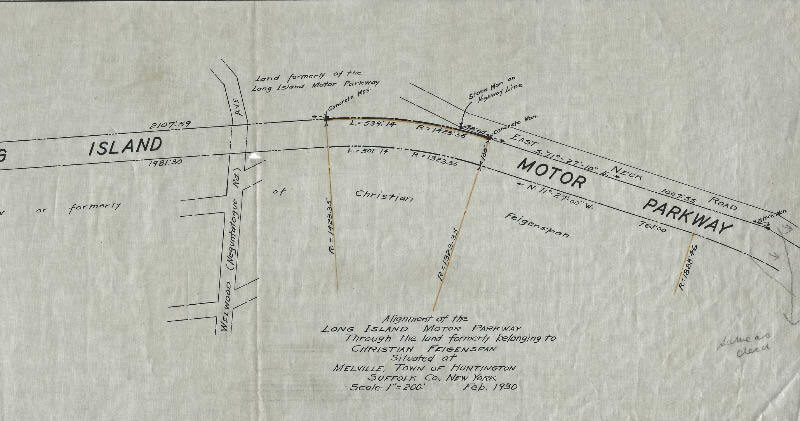 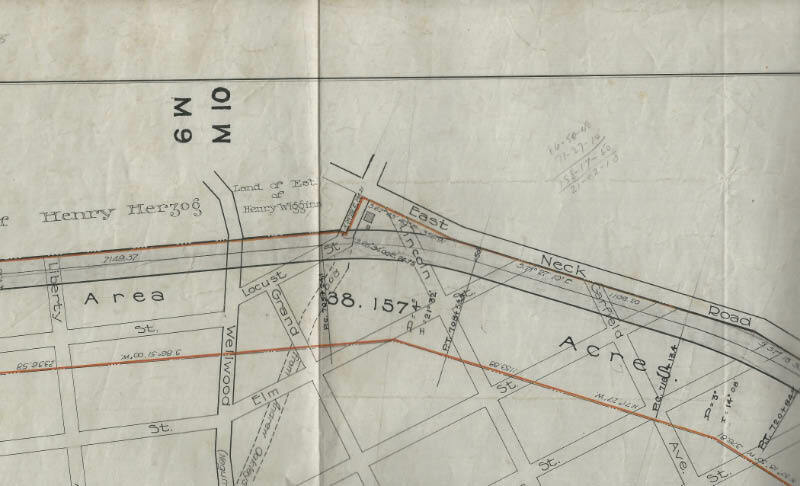 A section of the Motor Parkway east of the bridge was realigned in 1930. 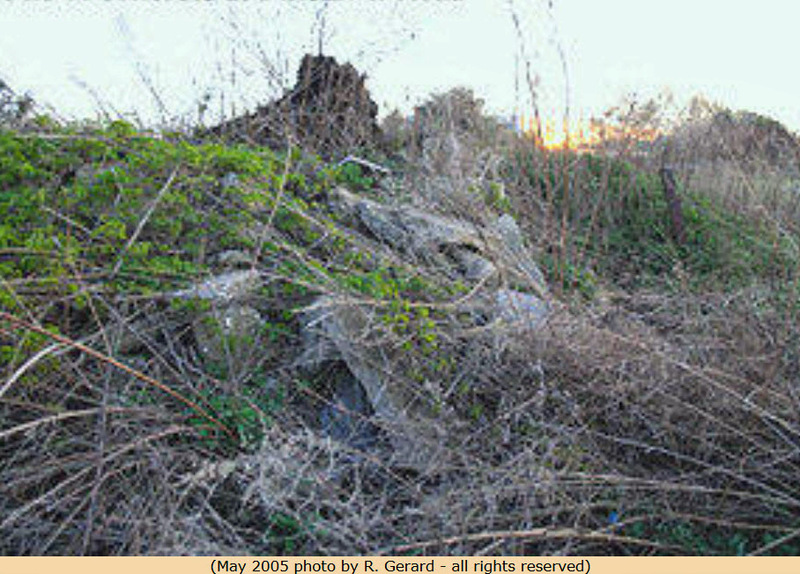 As previously posted on Sam Berliner III's Long Island Motor Parkway website, remnants of the Motor Parkway near the bridge location were captured by R. Gerard (all rights reserved). 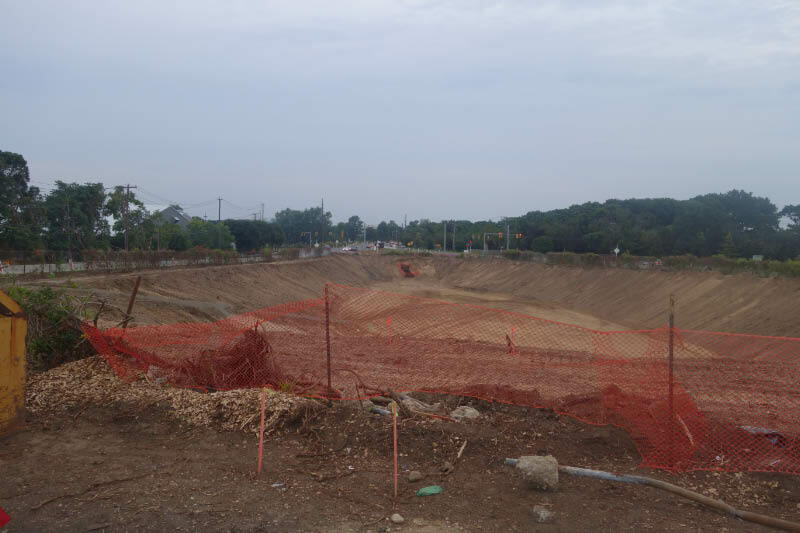 In August 2014, a storm basin was built east of Wellwood Avenue over the Long Island Motor Parkway's right-of-way. 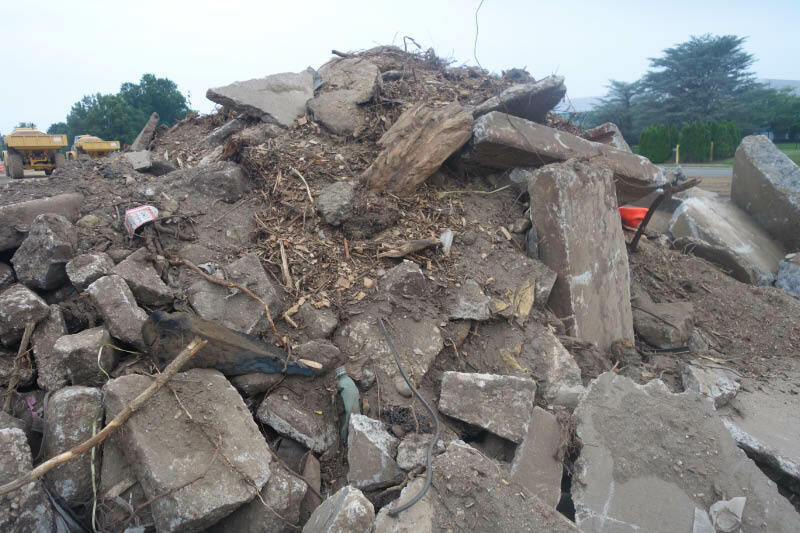 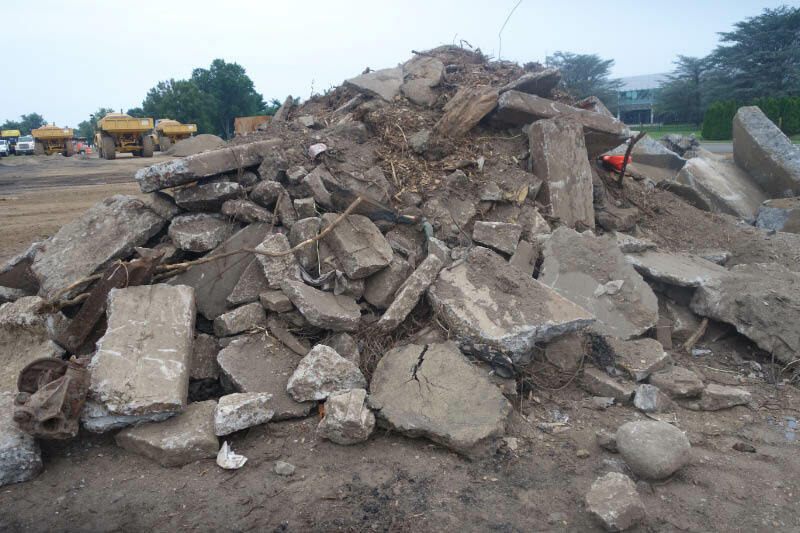 Were these piles of concrete remants of the Motor Parkway? 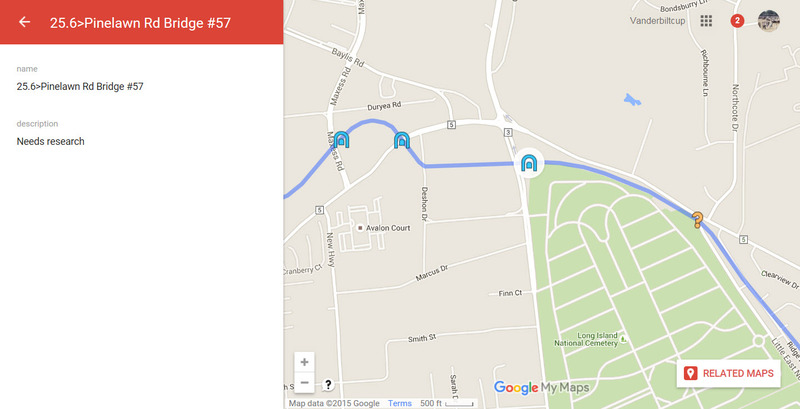 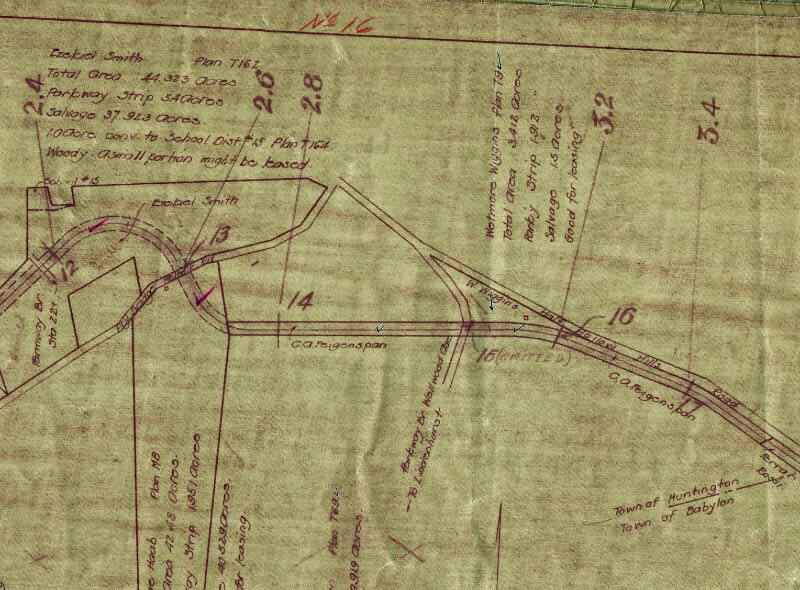 Check out Wayne Consolla's online Motor Parkway map to find the location of the Wellwood Avenue Motor Parkway Bridge.